I love peanut butter. It’s good for you and it’s a good source of protein. Only downside is that they grind bugs into every jar. 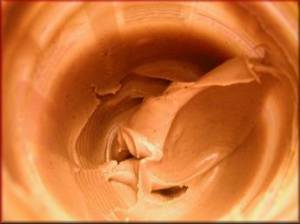 If you really knew what went into your jar of peanut butter, would you still eat it? This analogy is a lot like EzineArticles.com on most days… meaning, there are a few bugs mixed into the peanut butter on most article submissions, but overall, the good outweighs the bad. I really dislike having to tell an author that we had to throw out their peanut butter jar (articles & membership account) as it had too many bugs in it (plagiarism, poor punctuation or grammar, excessive self-serving active links, etc). This is especially difficult when they beg to be re-instated because their “insert excuse” didn’t know better. Yesterday, a new author sent us a greeting card genuine thank you for publishing her articles. …so, you see, at the end of each day, the moral of the story is: The peanut butter protein still outweighs the bugs that are ground in. Strawberry jam anybody? Thank you for the peanut butter tidbit. I am glad to know that manners still exist and that EzineArticles.com is still willing to accept and acknowledge a genuine thank you.